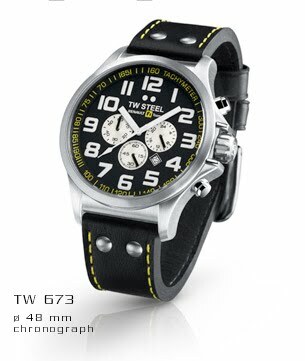 With TW Steel becoming a partner to the Renault F1 Team, it is only natural that TW Steel introduces watches to commemorate the partnership. The Renault F1 Team Pilot celebrates this partnership. The 4 model series is inspired by Renault's history in aviation and its success in F1. For those who do not know, Renault built engines (design for cars) were used during the World War I fitted on planes built by Breguet (yes, Breguet), among others. In 1930 Renault buys the aviation company Caudron. In 1935, the company Renault-Avion was formed. The company produces the Caudron-Renault which was flown by legendary pilots like Raymond Delmotte (who held the air speed record in 1934 on board a Caudron C.460) and Helene Boucher (in 1934 became the fastest woman in the world and held 8 world record, some of which stood for 32 years). Fast forward to the 90s and Renault Sport co-operates with Aerospatiale to produce engines for light aircraft. Anyway, enough of the history lesson, on to the watches. 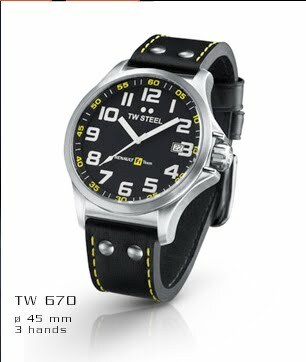 There is still not much information about the watches. There are 4 models in the series, which comes in 2 sizes, 45 mm and 48 mm. The collection consists of 2 type of watches, the basic 3 hand model (hours, minutes and seconds) and another with chronograph functionality. All the watches will feature aviation (Flieger) type dial design. All the hour markers and hands are luminous. 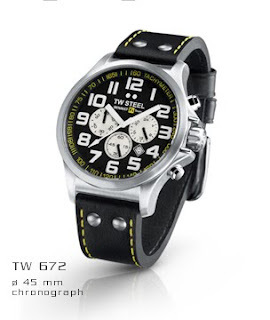 All the watch will have black dial with the Renault F1 Team Logo and TW Steel 2 dot logo. The TW670. Basic 3 hand with date, 45 mm diameter. The TW671. Basic 3 hand with date, 48 mm diameter. The TW672. Chronograph and date complication, 45 mm diameter. The TW673. Chronograph and date complication, 48 mm diameter.